At times when you are too tired after work, you just want to snuggle at home and watch some movies online instead of spending some additional money on unnecessary stuffs.. Even though I started working for only 1 1/2 years, I do feel that life is too short. We might not know what will happen the next day. So I think I will treasure all those moments / free time I have. Definitely there are times that you want to go out for holidays and take a break from work. Working as a sales engineer is definitely not easy. Sometimes you also want to spend some of the time by watching some dramas with siblings to strengthen the family bond. Since both sis and I are living together in KL (3 hours drive from our hometown), definitely we do appreciate our time being together. Thanks to my friend for introducing Bento Live application to me when I asked her about free video streaming service. 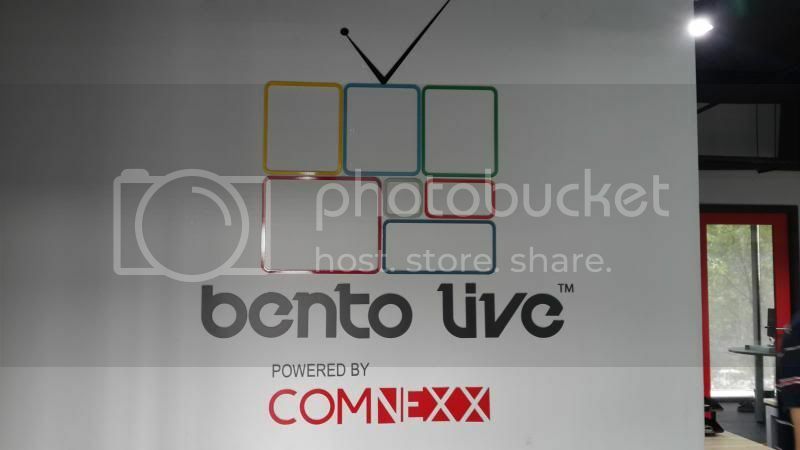 For your information, Bento Live is an app which is embedded on Smart TV. 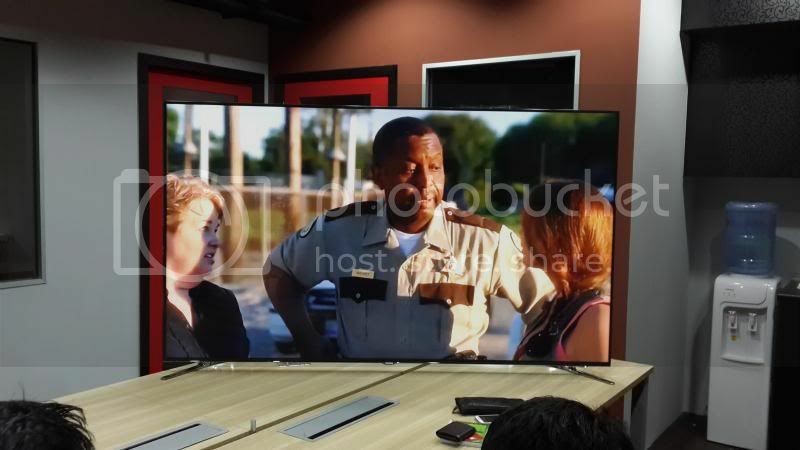 If you own a Smart TV, you will get to stream Hollywood movies for FREE. To those who are not aware of, Bento Live is a completely LEGAL online video service provider in Malaysia that offers streaming on-demand videos of movies, TV shows, documentaries and animations. 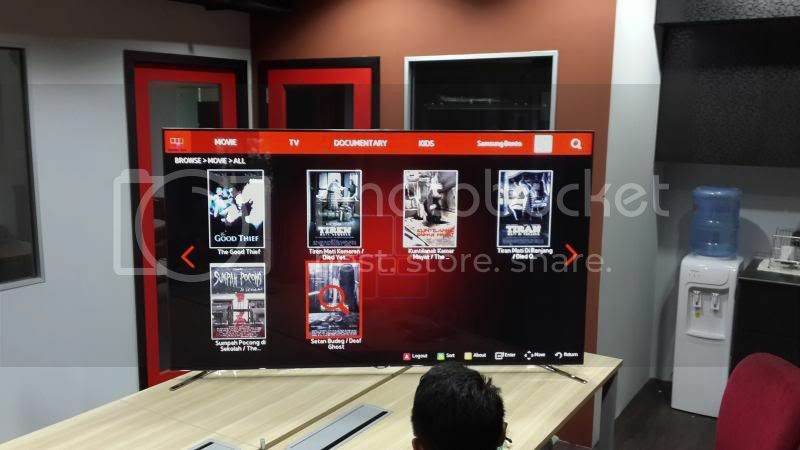 Do not fret if you do not own a Smart TV as you can also watch free movies on your PC and laptop. All you have to do is just sign up at bentolive.com and you are good to go! Bento Live has 60 movie titles available and the best part is they have subtitles for each movies! *jump with joy* I always find it hard to watch movie without subtitles because of different culture and different accent in different part of the world. Besides that, they come in two subtitles for me to choose which is English and Malay. So this is really a plus point in Bentolive.com as non-English movies require subtitles definitely. You can opt to choose English or Malay subtitles or no subtitles too in case if you want to improve your listening. In addition, Bento Live provides HD quality movies which really amazed me. I do not have to worry about straining my eyes watching the low-quality movies on laptop or PC which causes my eyes’ power are increasing day by day. Furthermore, with pirated movies, you don’t even get the chance to watch such high quality movie. There's a 60-second advertisement before each movie and I don't mind that because we are watching those movies LEGALLY. Don't mind sacrificing 60 seconds of my time just for the advertisement. (: It’s worth it after all. 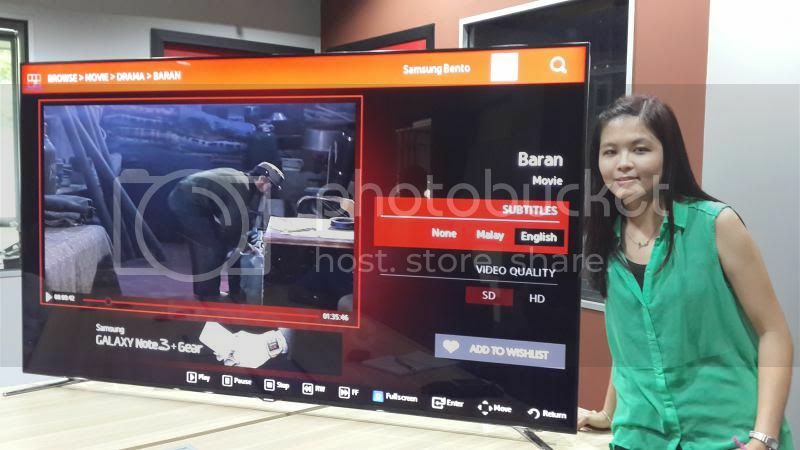 Two weeks ago, I visited Bento Live office to witness the Bento Live app on a 75" Samsung Smart TV. Anyway, here's an announcement for the awesome contest organized by Bento Live. 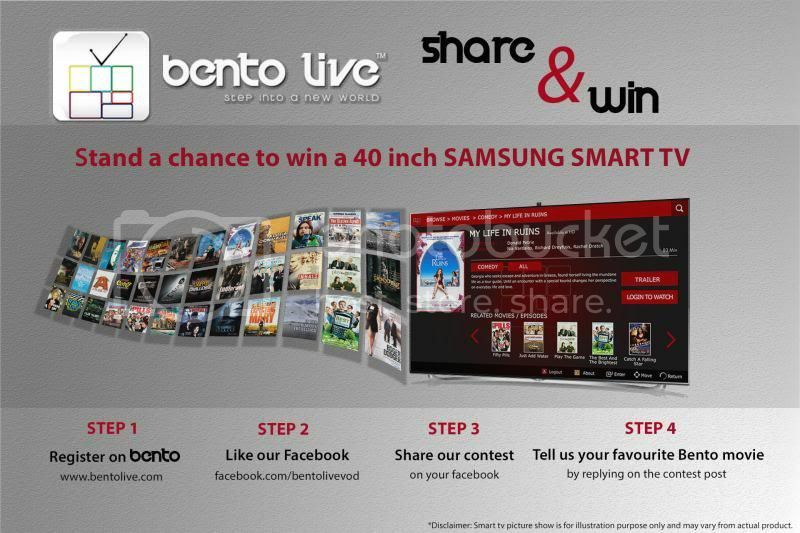 Bento Live is having their Share and Win Contest where 2 units of Samsung 40" Smart TVs will be given out once a month. 4. Reply on contest post of your favourite movie! It's so simple right? I have already submitted my application. How about you? Hurry up and join now! Good luck guys!